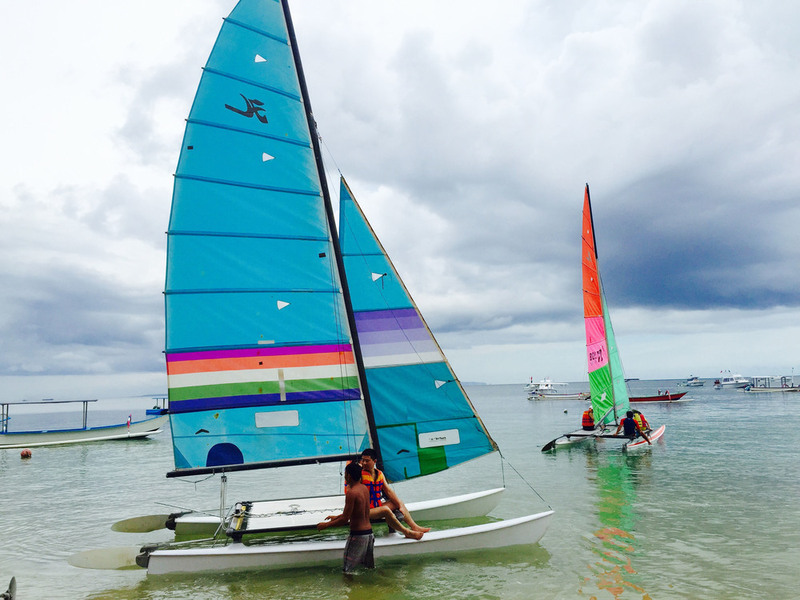 Book a scenic one hour cruise of the greater Sanur beach area on one of our Hobiecat 16s. The thrill of rushing across the sea with our experienced Balinese captains will be a highlight of your trip. Maximum 2 adults and two small children per trip. We also offer the option of self skippering to accomplished guest sailors.